Introduction: We report the largest known cohort of South Asian (SA) men treated by radical prostatectomy living in the United States. Our objective was to characterize this sub-population and compare them to our wider cohort of prostate cancer patients treated with radical prostatectomy in the United States. Materials and Methods: All patients who underwent radical prostatectomy at two high-volume United States academic institutions at separate geographic locations between 1990 and 2011 were identified. Demographic data, pre-operative Prostate Specific Antigen (PSA), biopsy Gleason score, pathology Gleason score, pathology Stage, margin status, and node status were collected. In addition to SA men, African American (AA) men were identified and used for comparative analysis as a high-risk cohort. Results: A total of 69 SA men were identified in Cohort 1 and 24 men were identified in Cohort 2. When comparing SA men against the entire cohort, no significant difference was found for age, year of surgery, biopsy Gleason score, or path Gleason score for either cohort. However, significant differences were found in pre-operative PSA (P = 0.01), pathologic stage (P<0.01), and positive node status (P = 0.04) for SA men in Cohort 1. Whereas in Cohort 2, SA men had a significantly higher proportion of positive surgical margins (P = 0.04). In all significant comparisons, characteristics were worse in SA men and similar to that of AA men. Conclusions: SA men have worse pathologic disease profiles when compared to the general population of men undergoing radical prostatectomy. SA men living in the United States have pathologic disease profiles that are comparable to AA men. Background: Liposarcomas are among the most common soft tissue sarcomas in adulthood. Aim: The purpose of the study is to perform a histopathologic typing according to World Health Organization (WHO) classification of cases diagnosed with liposarcoma and to examine the difference of p53 and MDM2 expressions. 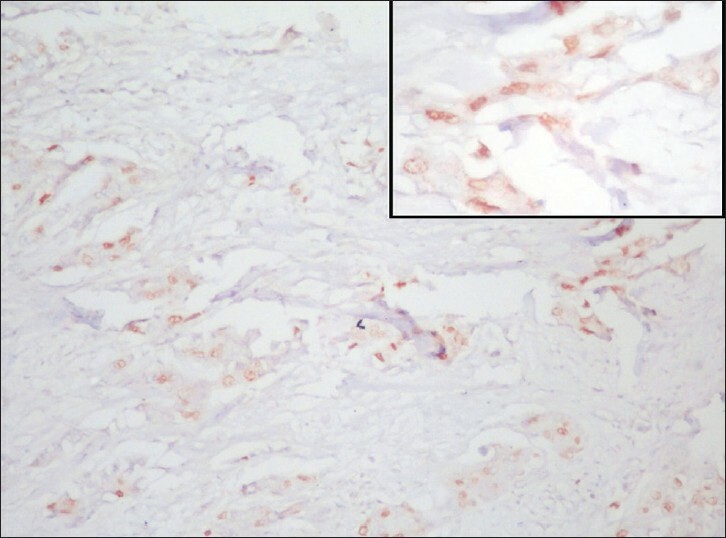 Materials and Methods: The haematoxylin-eosin stained sections of 48 subjects enrolled in the study have been evaluated on the basis of the WHO classification for liposarcoma and sections stained using p53 and MDM2. Statistical Analysis Used: Chi-Square test was applied. Results: 20 subjects were diagnosed with well-differentiated liposarcoma (WLS), 16 myxoid liposarcoma (ML), 7 pleomorphic liposarcoma (PL), and 5 de-differentiated liposarcoma (DLS). The number of cases stained positive with MDM2 and p53 were positive correlated in all subjects (P = 0.02). p53 and MDM2 positivity increased in high grade tumors (P = 0.01). Conclusion: p53 and MDM2 immuno-reactivity was found to be potentially useful in liposarcoma diagnosis but a definitive implication would be rather unhealthy due to the small number of cases in our study. Introduction: Widespread PSA (prostate specific antigen) screening has resulted in stage migration of prostate cancer. Smaller tumor volumes are being detected in radical prostatectomy specimens. This has coincided with increasing reports about the 'vanishing cancer phenomenon.' Aims: To analyse the cases of robot assisted laparoscopic prostatectomy (RALP) at our institute in which the pre operative prostate biopsy was positive for adenocarcinoma but no tumor could be identified in the final histopathology, and to review the literature for possible reasons for such a phenomenon. Materials and Methods: Nine patients were identified out of a total of 184 cases of RALP in which the final histopathology did not correlate with the initial biopsy report. The initial biopsy slides as well as the final histopathology slides were reviewed by a second pathologist. The specimens were processed in entirety and additional sections were taken until no tissue was left. Results: Two patients had cancer diagnosed on TURP (transurethral resection of prostate) chips, while the remaining patients had undergone TRUS biopsy for elevated PSA. 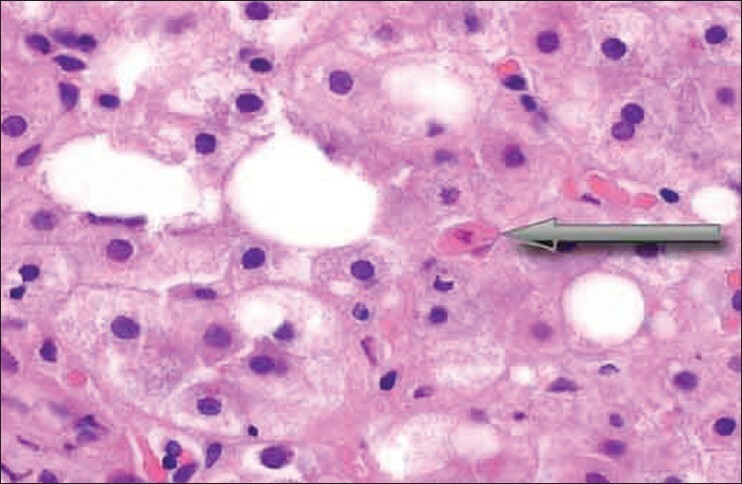 The final histopathological diagnosis was benign prostatic hyperplasia in two patients, chronic prostatitis in four patients, and acute florid prostatitis in one patient, granulomatous prostatitis with glandulostromal hyperplasia in one patient and TCC (transitional cell carcinoma) of prostate in one patient. Conclusion: Most cases of pT0 are due to inability of routine histopathological analysis to identify minute tumor focus. Urologists need to be aware of this in view of the potential medico legal implications. Aim of the Study: This study aims to evaluate cell-free DNA (CFDNA) concentration and integrity in patients with malignant and nonmalignant diseases and in controls to investigate their value as a screening test for cancer, and to correlate them with clinicopathological parameters of cancer patients. Materials and Methods: The study included three groups; group I: 120 cancer patients, group II: 120 patients with benign diseases and group III: 120 normal healthy volunteers as control. One plasma sample was collected from each subject. 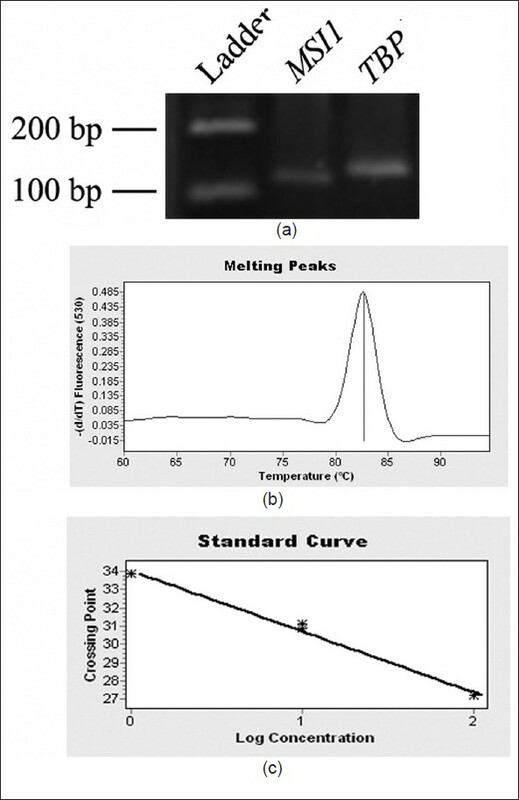 CFDNA was purified from the plasma then its concentration was measured and integrity was assessed by PCR amplification of 100, 200, 400, and 800 bp bands. Results: There was a highly significant difference in CFDNA levels between cancer group and each of benign and control groups. 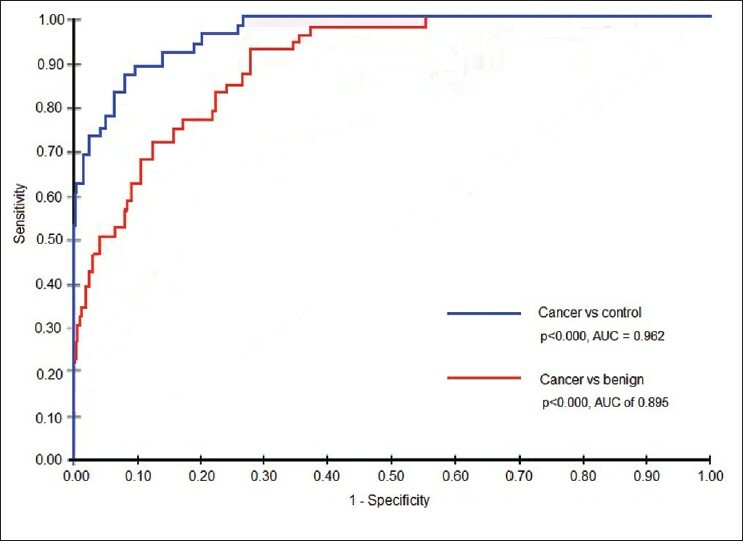 AUC of ROC curve for cancer group versus normal and benign groups were 0.962 and 0.895, which indicated the efficiency of CFDNA as a marker of cancer. As for integrity, normal and benign subjects showed only two bands at 100 and 200 bp, while all cancer patients demonstrated the 400 bp band and 78% of them had the 800 bp whose presence correlated with vascular invasion. Conclusion: The combined use of CFDNA concentration and integrity is a candidate for a universal screening test of cancer. Upon setting suitable boundaries for the test it might be applied to identify cancer patients, particularly among subjects with predisposing factors. Being less expensive, CFDNA concentration could be applied for mass screening and for patients with values overlapping those of normal and benign subjects, the use of the more expensive, yet more specific, integrity test is suggested. Background: Gallbladder cancer (GBC) is the second leading cause of cancer death in women in Chile. Even after curative surgery, prognosis is grim. To evaluate acute and late toxicity and efficacy of adjuvant chemoradiation (CRT) after curatively resected GBC. Materials and Methods: We retrospectively analyzed the cohort of patients diagnosed between January 1999 and December 2009, treated with adjuvant CRT at our institution. Treatment protocol considered external beam radiation (RT) (45-54 Gy) to tumor bed and regional lymph nodes with or without concurrent 5-fluorouracil (5-FU) (500 mg/m 2 /day by 120-hours continuous infusion on days 1-5 and 29-33). Data was obtained from medical records, mortality from death certificates. Survival was estimated by Kaplan- Meier curves. Results: 46 patients with curatively resected GBC received adjuvant CRT. Median age was 57 years (range 33-76); 39 patients were female. After diagnosis, a second surgery was performed in 42 patients. Cholecystectomy with hepatic segmentectomy and lymphadenectomy was the curative surgery in 41 patients. All patients received RT with a planned dose of 45 Gy in 25 fractions, 11 patients received a boost to the tumor bed up to 54 Gy and 34 patients had concurrent 5-FU. Therapy was well tolerated. Five patients experienced grade 3 toxicities. No grade 4 or 5 toxicity was observed. No grade >2 late toxicity was observed. Three- and 5-year overall survival (OS) were 57% and 51%, respectively. Conclusions: Adjuvant chemoradiation is well tolerated and might impact favorably on survival in patients with curatively resected GBC. Context: Vimentin is a mesenchymal marker, known to express in some epithelial carcinomas. Aims: 1. To find out the expression of vimentin in infiltrating ductal carcinoma of breast (not otherwise specified), 2. To find out the correlation between expression of vimentin and prognostic markers such as tumor size, tumor grade, lymph node status, proliferation index (measured by Ki 67), and Nottingham prognostic index (NPI). 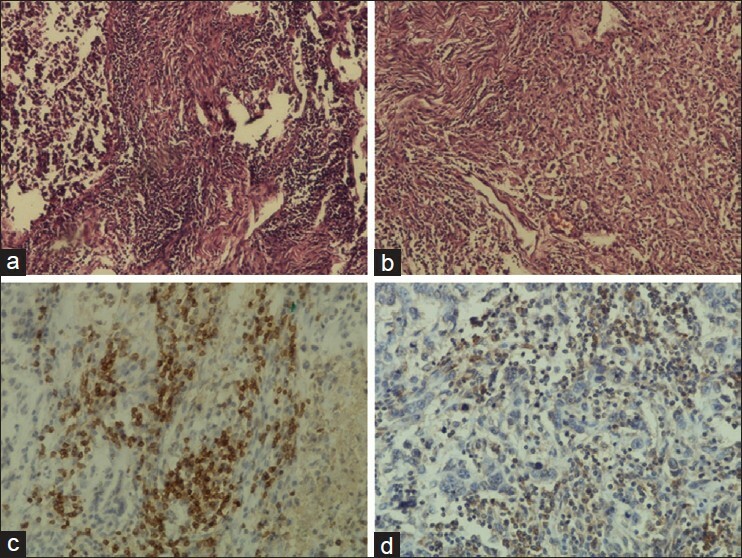 Materials and Methods: Study was done at Department of Pathology; 50 cases of infiltrating ductal carcinoma (NOS) were studied for tumor grade; immunohistochemistry was done using antibodies against vimentin and Ki 67. Percentages of positive cells were documented. An immunoscore was also calculated for vimentin. Vimentin expression was correlated with tumor size, lymph node status, Nottingham prognostic index, and Ki 67. Statistical analysis used: statistical correlation was done using Pearson's chi-square test. A P value less than 0.01 was considered significant. Results: Vimentin expression was seen in 18% of cases. Its expression correlated with high tumor grade and high growth fraction (P value < 0.01). It did not correlate with lymph node status, tumor size, and NPI. Conclusions: Increased vimentin expression is associated with bad prognostic factors. 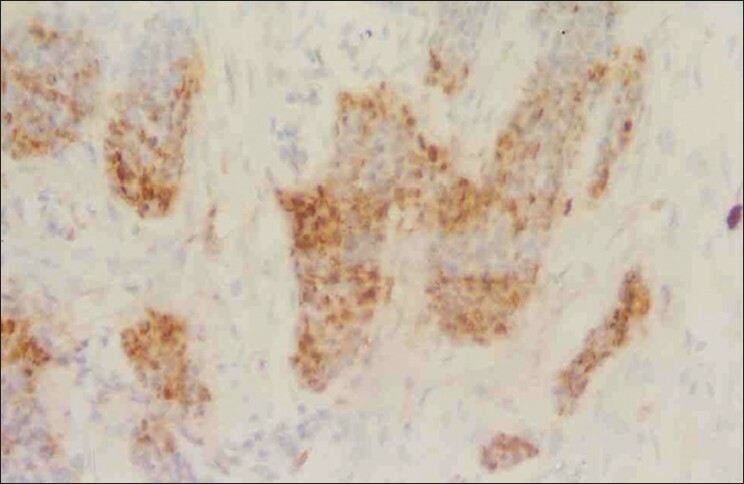 Immunohistochemistry with vimentin may be helpful in knowing the prognosis in cases of infiltrating ductal carcinoma of breast (NOS). Background: Chemoresistance is an important factor determining the response of tumor to neoadjuvant chemotherapy (NACT). P-glycoprotein (P-gp) expression-mediated drug efflux is one of the mechanisms responsible for multi-drug resistance. Our study was aimed to determine the role of P-gp expression as a predictor of response to NACT in locally advanced breast cancer (LABC) patients. 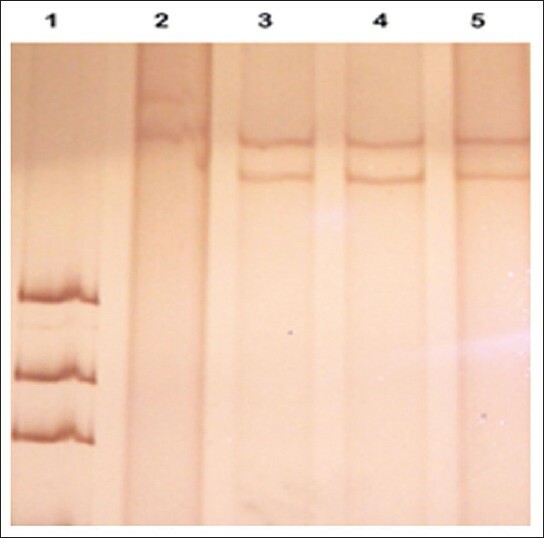 Materials and Methods: P-gp expression was performed by real-time quantitative polymerase chain reaction [qRT-PCR] in 76 patients with LABC. 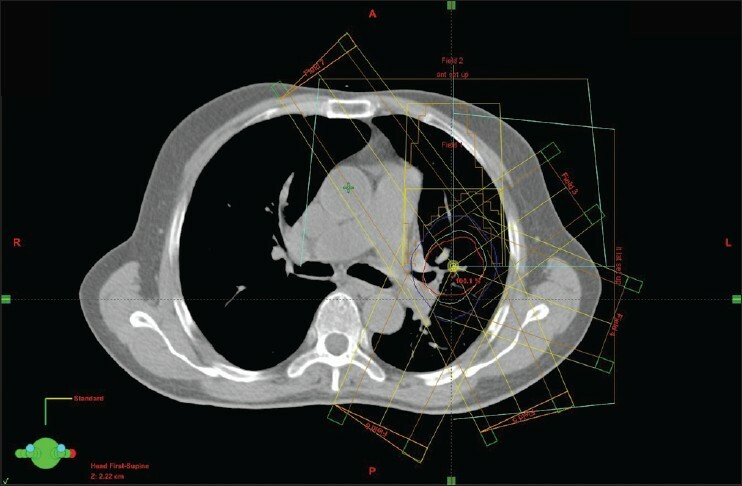 Response to adriamycin-based regimen was assessed both clinically and with contrast enhanced computed tomography (CECT) scan before and after NACT. The significance of correlation between tumor and P-gp levels was determined with Chi-square test. Results: Twenty-one had high and 55 had low P-gp expression. On analyzing P-gp expression with response by World Health Organization (WHO) criteria, statistical significance was obtained (P = 0.038). Similarly, assessment of P-gp expression with response by Response Evaluation in Solid Tumors (RECIST) criteria in 48 patients showed statistical significance (P = 0.0005). Conclusion: This study proves that P-gp expression is a determinant factor in predicting response to NACT. Finally, detection of P-gp expression status before initiation of chemotherapy can be used as a predictive marker for NACT response and will also aid in avoiding the toxic side effects of NACT in non-responders. Background and Objective: The present study was done to analyze the immunoexpression of diagnostic markers (MIB-1: molecular immunology borstel and PCNA: proliferating cell nuclear antigen) in grading cervical intraepithelial lesion (CIN) and squamous cell carcinoma (SCC) in cervix. 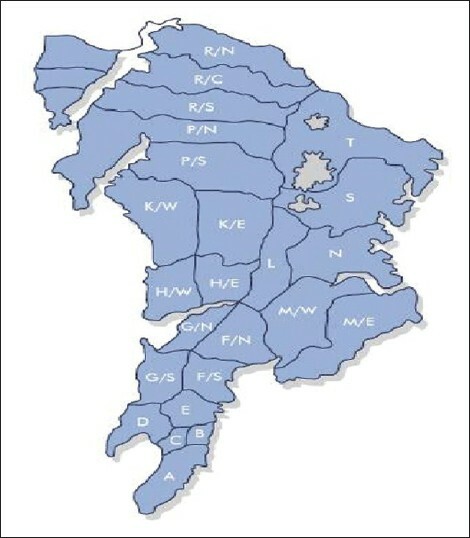 Setting and Design: Total 150 cervical biopsies were divided into four groups respectively; Group I-Normal (n = 32), Group II- CIN (n = 60), Group III- SCC (n = 44), Group IV- CA cervix (n = 14) respectively. Materials and Methods: These biopsies were stained with monoclonal antibodies by streptavidin--biotin method. Mean labeling index was calculated and grading was performed using the I--III scoring system. Statistical Analysis: Findings were correlated with age and menopausal status. Statistical analysis was done by using student sample't' test and analysis of variance (ANOVA) by SPSS 10 package. Results: MIB-1 immunostaining was positive in 112/150 (74.6%) cases and PCNA in 118 /150 (78.6%) cases. Labeling indices showed linear progression from normal to CIN to SCC to cancer lesion. Few cases of low-grade CIN lesion had high proliferative index. A significant positive correlation was found between age and PCNA and MIB-1 values (P < 0.05) when comparison was made for all the cases. Conclusion: These markers may be useful in identifying low-grade CIN lesion with high proliferative index. These cases should be kept for follow up studies so that proper intervention can be taken at an early stage. This method is simple and cost effective and can easily be done in formaline-fixed paraffin embedded tissues in a clinical laboratory for grading CIN and SCC lesions in cervix. Background: Mitochondrial DNA (Mt DNA) defects have been identified in a variety of Tumors, but the exact role of these defects in the pathogenicity and tumor progression is poorly understood. This study aims at identifying the status of mitochondrial OXPHOS genes in neoplastic transformation and attempts to establish a cause and effect relationship between mitochondrial OXPHOS defects and tumor progression. Materials and Methods: Mutational, expression and functional analysis of l2 of the 13 mitochondrial OXPHOS genes has been carried out using PCR, Real-Time PCR and protein modeling in 180 sporadic samples of a heterogeneous group of benign and malignant tumors like that of benign, malignant, matched blood and adjacent normal tissue of breast and benign hemangioma. Results: Mutations were identified in the ND4L, ND6 and COX-II regions of the mitochondrial OXPHOS genes. All the mutations were limited only to the malignant breast tissues. On relative quantification, a compromised expression of OXPHOS genes was identified in all the malignant tissues irrespective of their mutational states. Protein modeling revealed loss of function mutations of ND6 and COX-II proteins. Conclusion: This is the first study worldwide wherein a comparative study using different benign and malignant tumors has been carried out to assess the role of Mt DNA defects. Our data reveals mitochondrial dysfunction only in malignant cells and not in their benign counterparts, indicating that the dysfunction may arise after the pro-proliferative pathway has set in. We hypothesize that compromised OXPHOS may be a responsive mechanism of the cell to counter cancers, rather than a mechanism of initiating tumorigenesis. Context: The stem cell model for cancer assumes that a key event in tumorigenesis is the deregulation of genes involved in the regulation of stem cell self-renewal. The Musashi family is an evolutionarily conserved group of neural RNA-binding proteins. In mammals, the family consists of two individual genes, Musashi 1 (MSI1) and MSI2, encoding the Musashi 1 and Musashi 2 proteins. Musashi 1 is involved in the regulation of self-renewal of stem cells. Recently, its over-expression has also been reported in a variety of human tumors. Aims: To investigate a potential expression of the stem cell self-renewal gene, Musashi 1, in human bladder cancer, we examined its gene expression in a series of tumor and non-tumor tissue samples of bladder. Materials and Methods: Relative expression of MSI1 was determined by the real-time quantitative reverse transcription polymerase chain reaction (qRT-PCR) in 70 surgical samples of bladder. Results: Using specific primers for MSI1 and TBP (as an internal control) for qRT-PCR technique, we found a relatively high expression level of MSI1 in all examined tumor and non-tumor bladder tissue specimens. However, our data did not show any correlation between the level of gene expression and tumor/non-tumor states of the samples (P>0.05). Conclusions: All together, our data demonstrated that Musashi 1 is highly and un-differentially expressed in both examined tumoral and apparently normal bladder tissues. Background: This study has been descriptively designed in order to evaluate the validity and reliability of the scale of "Your Reactions to Helping Your Family Member" for Turkish society. The scale that was developed by Archbold and Steward in 1983 being applied at caregivers is included within Family Care Inventory. Materials and Methods: The scale which is adapted for Turkey was applied to 132 caregivers of cancer patients, who are family members, twice by face-to-face interview method. Sample of the study consists of 132 caregivers of cancer patients who had outpatient treatment in chemotherapy unit of a university hospital in İzmir. Quantitative and percentage Ugur and Fadiloglu tests were used in the analysis of descriptive data regarding caregivers, Kendall W analysis was used to assess content validity of the scale, Pearson's Product Moment Correlation was used for test-retest reliability of the scale and Cronbach Alpha Analysis was used for internal consistency. Results: Validity of the scale was determined by using Kendall's Coefficient of Concordance (W: 0.62, p > 0.05) and it was evaluated as there's no difference ofopinion among the experts. Test-retest reliability coefficient between the first and the second application of the scale was found - as. 88. Conclusions: The scale which is ascertained to be valid and reliable as a result of our study can be used to assess the reactions of caregivers of cancer patients during the care giving period in Turkish society. Background: Surgery is the standard of care for early stage (T1-2, N0, M0) non-small cell lung cancer. A considerable number of these patients are ineligible for surgery due to age and comorbidities. Hypo fractionated high-dose stereotactic body radiotherapy (SBRT) is being performed for these group of patients. There is paucity of literature regarding this novel technique from the Indian subcontinent. Aims and Objectives: We hereby report the dosimetry, response and outcome of our small cohort of early stage non-small cell lung cancer patients treated with SBRT. Materials and Methods: Between December 2007 and December 2010, 8 patients of early stage (T1-2N0M0) underwent SBRT at our centre. All the patients had undergone whole body PET-CT scan, MRI brain and pulmonary function test (PFT with DLCO). The SBRT schedules included 48 Gy in 6 fractions for peripherally located and 48 Gy in 8 fractions for centrally located tumors. Response and toxicity were assessed in 3 monthly follow up visits. Results: The median duration of follow up was 18 months (range 8-44 months). The median age of the patients was 70 years (range 63-82 years) and the median tumor diameter was 4 cm (range 2.8-5.0 cm). The mean PTV volume was 165 cc(range 127.3- 193.9 cc). The mean dose to the PTV was 99.5% (range 97.7- 102.1%). After 3 months, 7 patients had complete metabolic response and 1 patient had partial metabolic response. 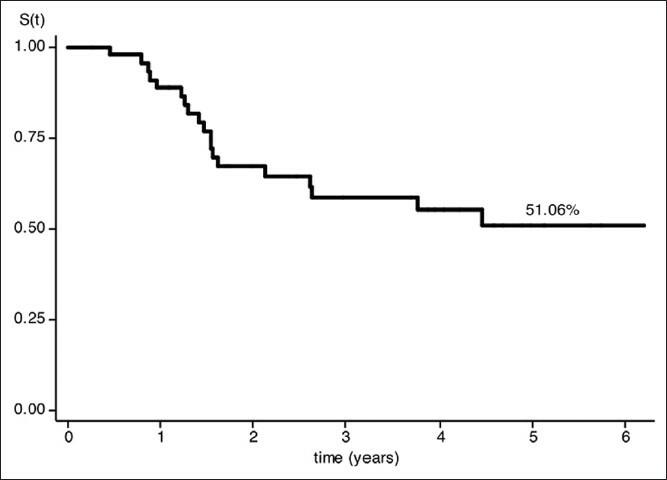 Overall survival at 1.5 years was 87.5%. One patient had grade 2 pneumonitis. No toxicities of grade 3 or higher were identified. Conclusion: SBRT for early stage NSCLC resulted in excellent local control with minimal toxicity and can be considered as a treatment option in properly selected patients. Background: Cancer diagnosis affects all the relatives living with the patient; however, whether the behavior of family members changes or not is unknown. To end this we evaluated the relatives of lung cancer patients. Materials and Methods: Forty-one questions were used to collect data from the relatives of lung cancer patients who had been living with them for at least one year, to evaluate changes in their attitudes and behaviors related to cancer prevention. Results: The study included 246 lung cancer patients' relatives, of them 172 (69.9%) were women and 74 (30.1%) were men. The median age was 46 years (range: 20-83 years). Patients and their relatives had been living together for an average of 28 years (range: 1-68 years), and 88 (35.7%) of the patients' relatives were their children. We found changes in the attitudes and behaviors toward prevention and screening for cancer in 92 (37.4%) of the relatives. Fifty-two (21.1%) of them changed their smoking habits, 34 (13.8%) altered their eating habits, 25 (10.2%) changed their exercise habits, 13 (5.3%) visited a doctor due to a suspicion of having cancer, 12 (4.9%) changed their lifestyles, seven (2.8%) underwent cancer screening tests, three (1.2%) started using alternative medicines, and three (1.2%) started using vitamins for cancer prevention. Conclusions: Important changes occur in the attitudes and behaviors of patients' relatives toward cancer prevention and screening after the patients are diagnosed with lung cancer. Being aware of how patients' relatives react to a family member's cancer diagnosis may provide healthcare professionals with more incentive to address the relatives' special needs. Background: Aim of this study was to investigate the prognostic significance of CD3+ TILs in infiltrating ductal carcinoma (IDC) of the breast. Materials and Methods: Immuno-histochemistry was done with CD3 antibodies in tissue sections of 127 breast cancer patients, and CD3+ intra-tumoral and stromal TILs were counted in relation to clinico-pathological variables. Results: Intra-tumoral and stromal CD3+ TILs were significantly associated with positive lymph node status (P = 0.006, P = 0.043, respectively) without significant association with age, menopausal status, family history, and hormonal status. The higher CD3 intra-tumoral and stromal counts both showed significant association with good prognosis (P = 0.039, P = 0.044, respectively). The intra-tumoral count was higher than stromal count and was independently associated with disease-free survival in stage I and II cancer (P = 0.021). Conclusions: CD3+ TILs may serve as independent marker of good prognosis in IDC breast. The findings of this study need further validation on a larger sample size. Introduction: The Cigarettes and Other Tobacco Products (Prohibition of Advertising and Regulations of Trade and Commerce, Production, Supply and Distribution) Act 2003 (COTPA) set out a number of stringent regulations to address tobacco promotion, some of which were revised in 2004. The aim of the study was to monitor the industry tactics at the point of sale with advertising and promotion of tobacco product in Mumbai. Materials and Methods: The study was carried out by Cancer Patients Aid Association in Mumbai with the help of volunteers. The surveys consisted of two parts, observational information and an interviewer administered questionnaire. Observations like size of board, display of advertisement, backlighting, and use of any promotion were noted. A questionnaire captured information about any incentives from tobacco companies for advertisement and promotion was administered to the vendors who agreed to participate. Study was approved by the Scientific and independent Ethics committee. Results: Total 125 establishments (58 shops, 55 kiosks, 12 other sites) with display boards were surveyed across 5 wards in Mumbai. It was noted that the most common violation was the placements of boards, mainly placed above the shop. The display boards were oversized and few of the advertisements were highlighted with backlights. Out of 125 tobacco vendors surveyed, 107 (85.5%) vendors agreed to answer the questionnaire. We noted that a majority of 67% (84 vendors) stated that they had been approached by tobacco companies to place the signages during the past 5 years post COTPA came into effect. 79 vendors (65 %) admitted to being paid by the tobacco companies. Discussion: Although the civil society and various non-governmental organizations has casted voice against the industry tactics but ineffective enforcement of the law is a major hurdle. It is likely that cigarette companies will be further able to overcome advertising restrictions by finding loopholes in tobacco legislation unless the decision makers ban it comprehensively as evident in other countries. Background: Metronomics is defined by the combination of metronomic chemotherapy and drug repositioning. Since off-patent chemotherapeutic drugs can be used and given the low toxicity profile of this approach, metronomics appears to be an invaluable alternative to bring affordable targeted therapies in low-income countries. Objective: The aim of this study was to report on the preliminary efficacy and safety of a metronomic vincristine/cyclophosphamide/methotrexate/valproic acid regimen given to children with refractory cancer of various tumor types or with a very advanced disease. 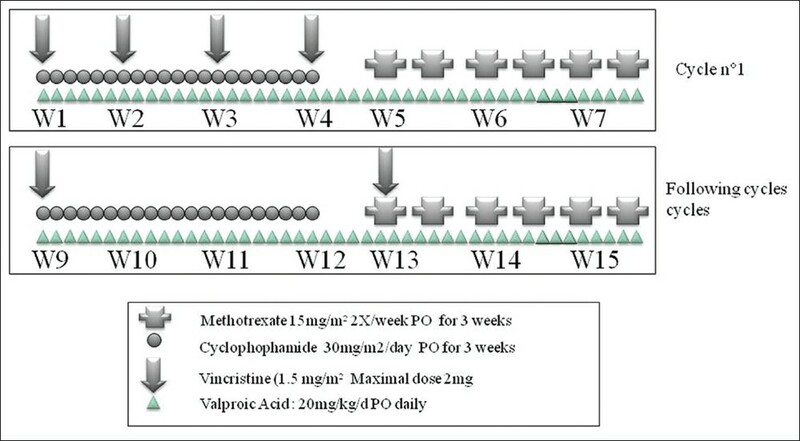 Materials and Methods: This prospective, single-center study evaluated the use of a metronomics protocol, consisting of a first cycle of weekly vincristine 1.5 mg/m 2 (days: 1, 8, 15 and 22), daily cyclophosphamide 25 mg/m 2 (days: 1-21), twice weekly methotrexate 15 mg/m² (days: 21-42) and daily valproic acid (30 mg/kg/d) followed by a 1-week break. For the following cycles, vincristine was administrated only at week 1 and 5 of the cycle. This treatment was proposed to children with refractory disease and patients who were not eligible for the protocols available in the hospital. Adverse events were determined through laboratory analyses and investigator observations. Results: From January 2010 to January 2011, 7 children (mean age: 5.4 ± 3 years old) were treated. Most frequent diagnosis was retinoblastoma. Two partial responses were observed in patients with neuroblastoma and retinoblastoma. These two patients are alive with stable disease at last follow-up (6 and 26 months, respectively) after stopping treatment. Conclusion: Metronomics allows treating patients with advanced or refractory or relapsing disease and the introduction of targeted treatments in low-income countries. The potential of metronomics in children and young adults living in middle- and low-income countries warrants further larger studies. Background: There is very limited data on the effects of malaria on on-going anticancer therapy. Materials and Methods: We performed a retrospective analysis of adult solid tumor patients who contracted malaria while on active anticancer therapy. We noted their demographic profile, clinical course and the effects of malaria infection on their on-going anticancer therapy. Analysis was done with simple percentages. Results: We analyzed 33 malarial episodes in 30 patients over 3 months. 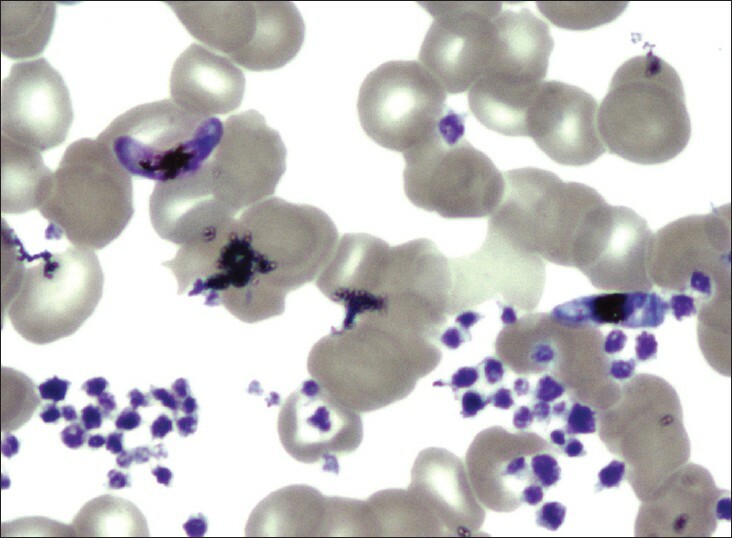 Plasmodium vivax was the most common type of infection (75%). Presenting symptoms included the typical triad of fever with chills and rigors. Malaria caused multiple complications, necessitating hospitalization in half of the patients and intensive care unit care in 1 of 8 patients. Common complications included thrombocytopenia (73%), anemia (67%), hyponatremia (66%), hepatic dysfunction (27%), and hypotension (12%). There were no deaths as a result of malaria. Malaria caused treatment delays with an average of 2.42 days per event. Plasmodium vivax caused more complications and therapy delays, average: 3.7 days per event, while non-vivax malaria caused an average of 0.5 days delay per event. There was a high level of resistance to chloroquine. Conclusion: Malaria is a significant problem in adult solid tumor patients, leading to multiple complications and therapy delays. Background: The present study of 238 B-cell Chronic Lymphocytic Leukemia (B-CLL) patients were undertaken to seek the prevalence and to evaluate clinico-pathological significance of recurrent genetic abnormalities such as del(13q14.3), trisomy 12, del(11q22.3) (ATM), TP53 deletion, del(6q21) and IgH translocation/deletion. 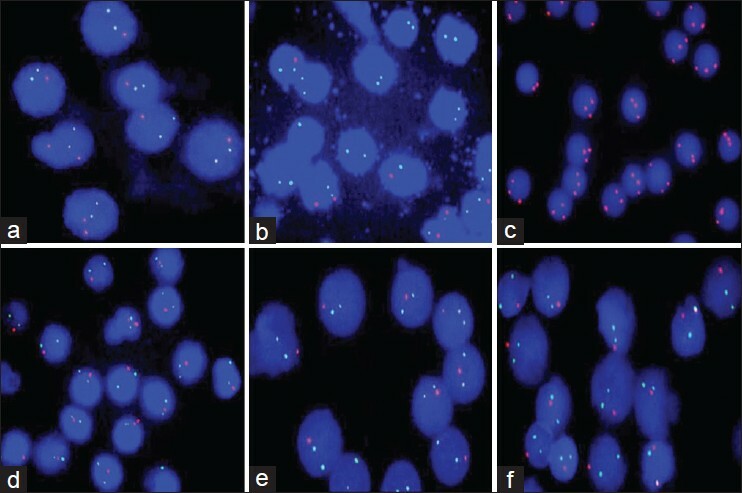 Materials and Methods: We applied interphase - fluorescence in situ hybridization (FISH) on total 238 cases of B-CLL. Results: Our study disclosed 69% of patients with genetic aberrations such as 13q deletion (63%), trisomy 12 (28%), 11q deletion (18%), 6q21 deletion (11%) with comparatively higher frequency of TP53 deletion (22%). Deletion 13q displayed as a most frequent sole abnormality. In group with coexistence of ≥2 aberrations, 13q deletion was a major clone indicating del(13q) as a primary event followed by 11q deletion, TP53 deletion, trisomy 12, 6q deletion as secondary progressive events. In comparison with del(13q), trisomy 12, group with coexistence of ≥2 aberrations associated with poor risk factors such as hyperleukocytosis, advanced stage, and multiple nodes involvement. In a separate study of 116 patients, analysis of IgH abnormalities revealed either partial deletion (24%) or translocation (5%) and were associated with del(13q), trisomy 12, TP53 and ATM deletion. Two of 7 cases had t(14;18), one case had t(8;14), and four cases had other variant IgH translocation t(?;14). Conclusion: Detail characterization and clinical impact are necessary to ensure that IgH translocation positive CLL is a distinct pathological entity. Our data suggests that CLL with various cytogenetic subsets, group with coexistence of ≥2 aberrations seems to be a complex cytogenetic subset, needs more attention to understand biological significance and to seek clinical impact for better management of disease. Introduction: Historically, metastatic renal cell carcinoma (RCC) has had poor prognosis; the outcomes have improved with the introduction of tyrosine-kinase inhibitors, such as sunitinib. 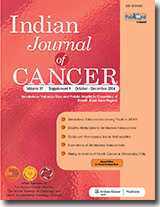 There is no reported literature from India on the use of sunitinib in metastatic RCC. We present an analysis of sunitinib at our institute over 4 years. Materials and Methods: An unselected population of patients with metastatic or relapsed metastatic RCC receiving sunitinib was analyzed with respect to patient characteristics, response, toxicity, and outcomes. Results: Fifty-nine patients (51 males, 8 females) with a median age of 55 years were included in the study. Lungs and bones were the most common site of metastases. The patients received a median number of 4 cycles, with 23 patients requiring dose-modification and 12 discontinuing therapy due to toxicity. Overall, 38 patients (65%) had CR, PR, or standard deviation while 14 had progression or death at initial evaluation. 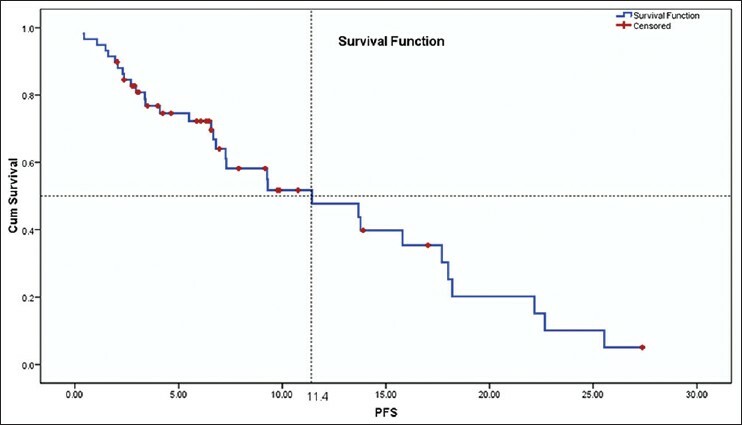 The median progression-free survival (PFS) was 11.4 months and overall survival was 22.6 months. Hand-foot syndrome, fatigue, mucositis, skin rash, and vomiting were seen more often among our patients, whereas hypertension was not as common compared with previously published reports. Conclusion: Sunitinib is a viable option for the treatment of metastatic RCC and shows a comparable PFS in Indian patients. Although toxicity remains a concern, most of the adverse effects can be managed conservatively. Careful patient selection, tailoring the dose of therapy, adequate counseling, and careful follow-up is essential for optimum therapy.